Published: May 9, 2011, 12:33 p.m., Last updated: May 9, 2011, 12:48 p.m. Supplement companies, homeopaths, traditional healers and pharmaceutical companies frequently get away with making unsubstantiated claims about their products. Many of these claims are in contravention of the Medicines Act, but enforcement is virtually non-existent. The Advertising Standards Authority (ASA) does provide some protection, but their authority is limited. Things may however be changing. We bring you a guide to the Consumer Protection Act and how you can use it. 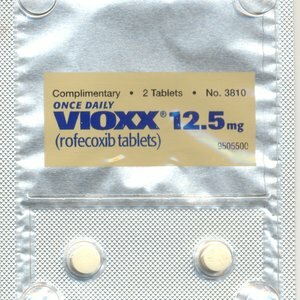 Rofecoxib was a widely used anti-inflammatory that caused heart attacks. Will the Consumer Protection Act help victims of the next drug scandal? When the CPA provides the consumer with better protection than another piece of legislation then the CPA overrides the other legislation. On 1 April the Consumer Protection Act (CPA) came into force. It is widely considered to improve the lot of the South African consumer but will it protect consumers against unsubstantiated health claims? We’ll only really know once a few test cases have gone through the process. On paper though the signs are good. The most promising thing about the CPA is that it empowers consumers to take action in a way they could not before. Instead of waiting for the Department of Health to do something about misleading medical claims, the CPA creates a mechanism by which consumers can lodge complaints that the National Consumer Commission (NCC) will be obliged to act upon if the complaint is valid. In this way, the CPA provides a new way to act against companies who have been going unchallenged due to poor enforcement of the Medicines Act. The general principle is that when the CPA provides the consumer with better protection than another piece of legislation then the CPA overrides the other legislation. So, whether or not the Medicines Act is being enforced or not, consumers can make use of the more substantial protection offered by the CPA. The CPA also sides very strongly with consumers. There can be little doubt that when weighing consumer safety and a patient's right to accurate information against health claims of doubtful validity, it is in the spirit of the CPA to side with the consumer rather than the service provider. The CPA affirms a number of crucial consumer rights. Amongst others, Chapter 2 lists the “right to fair and responsible marketing”, “the right to good quality and safe goods” and the “right to hold the supplier accountable”. This makes it clear that it is a contravention of a consumer’s rights to mislead the consumer about the safety or efficacy of a medicine. This, for example, makes it illegal for a company to claim that their product can reduce your risk of cancer, if there is no good evidence that it does. It could also be argued based on section 29 that the CPA prohibits the common tactic of producing marketing materials with cherry-picked findings in support of their products since such representations are likely to mislead. Similar prohibitions on misleading claims are repeated in section 41 which goes further to say that suppliers may not misrepresent the facts by exaggeration or ambiguity or failure to disclose a fact if withholding that fact amounts to deception. In other words, medicine providers are obliged to inform consumers of possible side effects relating to their products. Section 41 also provides new ammunition for taking on companies who misrepresent official approval or registration of themselves or their products. Sections 60 and 61 of the CPA has been a topic of some discussion due to the requirement it places on various links in the supply chain of a product to ensure safety. Section 60 deals with safety monitoring and the recall of products. It states that the NCC must promote the development, adoption and application of industry-wide codes of practice providing for effective and efficient systems to monitor the safety of products in the market. The commission will have the power to order a recall of products that are found to be unsafe or hazardous. Section 61 then stipulates that everyone from manufacturer to retailer can be held liable for harm arising from the use of an unsafe product. It would be interesting to see what happens if a case is brought against the distributors of an unsafe device like the Tara KLamp or against vitamin companies recommending dangerously high doses of their products. It also seems that companies will have to be very up-front about possible side effects or drug interactions. In addition, product advertising materials or alternative health practitioners might also fall short of the CPA when they advise their patients against using proven treatments – since the service these practitioners are providing would then be placing patients at risk. Will the CPA be effectively enforced? This all seems promising, but we do not know how it will play out in practice. We specifically do not know by what criteria claims of safety and efficacy will be judged in relation to medicines, especially those not registered with the Medicines Control Council. Consideration of health claims should ideally be guided by an informed understanding of the scientific process and should set the bar for evidence of efficacy and safety high, so as to ensure the rights of consumers are not infringed upon. Although general guidelines for the CPA have been published, these do not include consumer-friendly guidelines on how to lodge a complaint. Hopefully the NCC will in time produce similar guidelines to those offered by the ASA. If you have access to a lawyer, it is probably easiest for the time being to lodge complaints through that avenue. If you cannot afford a lawyer or choose not to, you can contact the NCC directly and they will then advise you as to how to take your complaint further. Once you’ve submitted these details, the NCC should get back to you with advice as to your options for taking the matter further. Exactly what happens once your complaint is received is not yet clear. For the most part, the CPA stipulates that Alternative Dispute Resolution mechanisms are to be used. This means that where possible, cases will first be referred to industry ombuds or provincial consumer courts. Only if these are not yet in place or if they are not capable of handling a complaint, will cases go to the NCC, the National Consumer Tribunal or the normal courts. Either way, the first step for most consumers who want to lodge a complaint will still be a phone call to the NCC. And, if all goes as promised, it shouldn’t take too long to get results. National consumer commissioner Mamodupi Mohlala was recently quoted on IOL as saying the NCC would commit to a six-week turnaround for complaints to be addressed and a six-month turnaround for complaints to be resolved. Thank you to Tim Fish and Metumo Shilonga of SECTION27 for assistance with this article. I take sole responsibility for any errors. Thanks for a great article Marcus. I hadn't thought about the CPA in this light. A question though - I can just complain about an advert to the ASA - I don't have to have bought the product. Do I actually have to be a 'consumer' of the product In order to complain to the NCC? Is there an overlap here? The way you describe section 29 apears to be similar in nature to complaints to the ASA. Will that ultimately render the ASA redundant? I have wondered about those two questions myself. I probably should have included something about them in the article. The difficulty is that neither of them seems to have clear-cut answers at the moment. I have however been advised that since the mere marketing of goods and services is subject to the provisions of the CPA, it could be argued that anyone that the goods are marketed to (regardless of whether they choose to purchase or not) is a 'consumer' for the purposes of the CPA. If this interpretation is accepted then you will be able to lodge complaints about misleading advertising much as you do to the ASA. Yes, the CPA and the advertising code significantly overlap. For the time being consumers can make use of either. My understanding is that industries like advertising can only be exempted from the CPA if their industry regulators provide equal or greater consumer protection than the CPA – which the advertising code clearly does not at present. It could be that at some point the advertising code might be amended to bring it in line with the CPA. In both cases I think we’ll just have to wait and see what happens as the new system gets tested.